Tired of a seeing gray or white when gazing out your window at a wintry landscape? Not yet ready for the parade of pink and red that accompanies so many Valentines? Rainbow colors are a happy palette no matter the season, and the talented artists featured today found many creative ways to use the cheerful colors on their projects. Get ready to be inspired with a rainbow of color! Ardyth Percy-Robb’s clean and simple style showcases wonderfully colored creations. 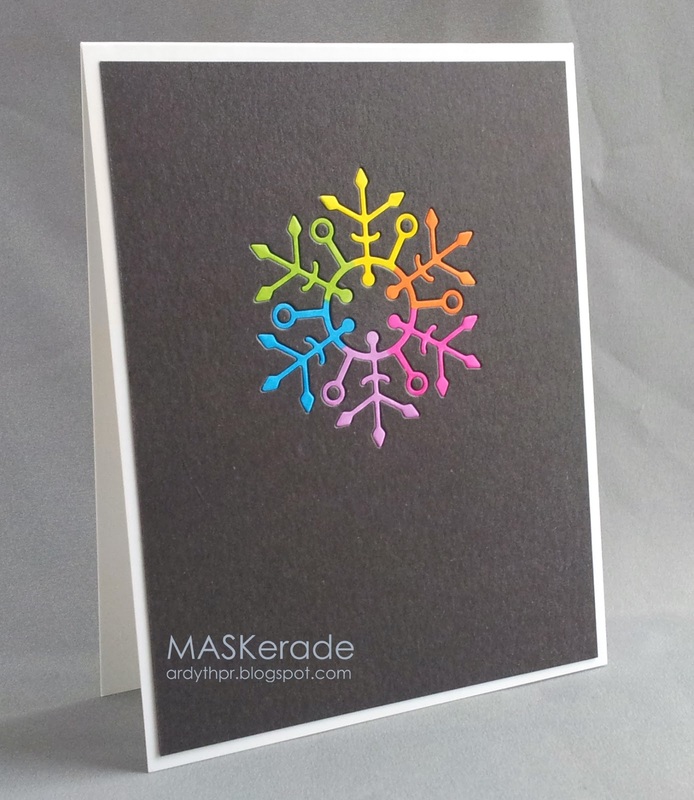 Her handcolored rainbow snowflake card above and stamped sentiment card below show off how pretty rainbow colors can be even on the dreariest days. While coloring and stamping are fun, die cutting strips of colorful cardstock is the least inky way to achieve beautiful rainbow results. I can think of no better way to use of small strips of colorful scraps, too. Check out these lovely examples from Corri Garza and Taylor Van Bruggen showing off die cuts from Scrappy Moms and Taylored Expressions. Combine dies and hand coloring for a unique Valentine or any time greeting. Jodi Collins’ colorful card features products from My Favorite Things. Check out the rainbow of color displayed behind the negative impression of the polka dot die cut background. The background coordinates well with her carefully colored, chunky font sentiment. 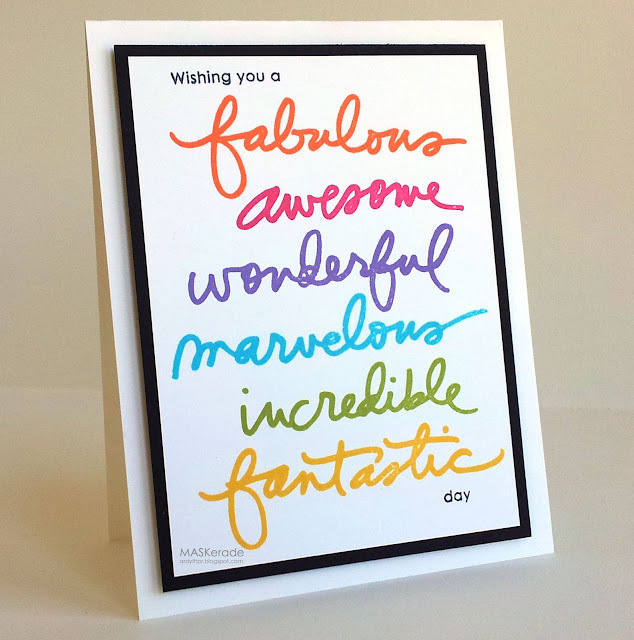 Enhance your rainbow motif with an uplifting sentiment. Bright, rainbow colored designs created by the next artists feature optimistic sentiments to match each of their cheerful cards. A rainbow shape is an obvious complement for your colorful display. Find dies to create perfectly shaped rainbows from companies such as, Lil’ Inker Designs and My Favorite Things. 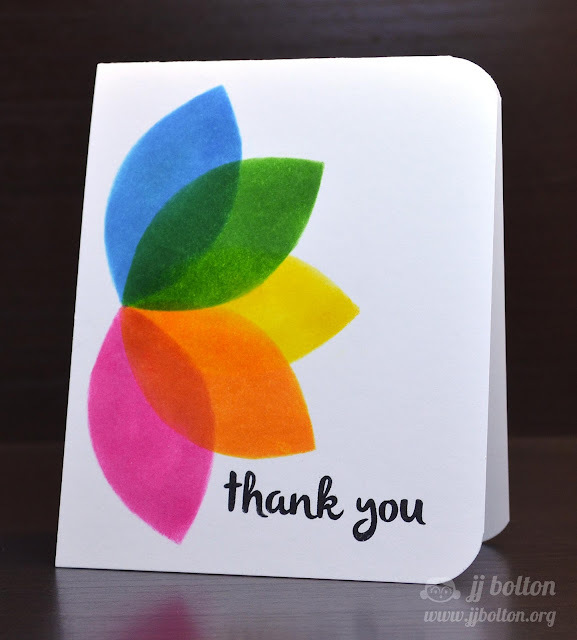 Even more options on your sketches and layouts are possible with colorful embellishments used in a rainbow design. Rainbow colored washi tape makes creating rainbow stripes super simple. 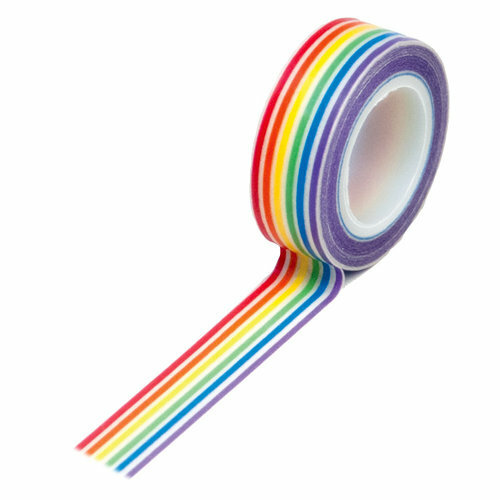 It’s also easy to find every color of the rainbow in trendy tapes to create your own adhesive masterpiece. Colorful bling, sequins, and dimensional embellishments can make a big impact on more detailed rainbow color creations. Hats off to Miradise for this final, magnificent display of a rainbow of color. Dramatic colors, tulle ribbon, and gorgeous butterflies certainly make this project a show stopper. 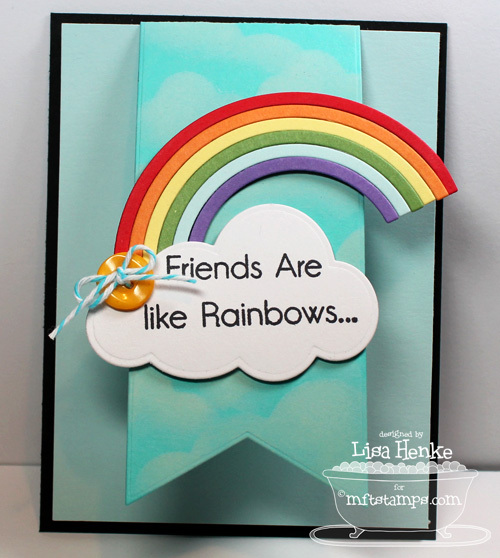 Ready to stamp, cut or embellish your way into a beautiful rainbow creation? Shake off the winter blues with a colorful project and you’ll be inspired to make it through any gray day. Happy crafting, everyone! I love rainbows! I loved this post! Thanks so much for including me in this post with all these other very talented cardmakers! 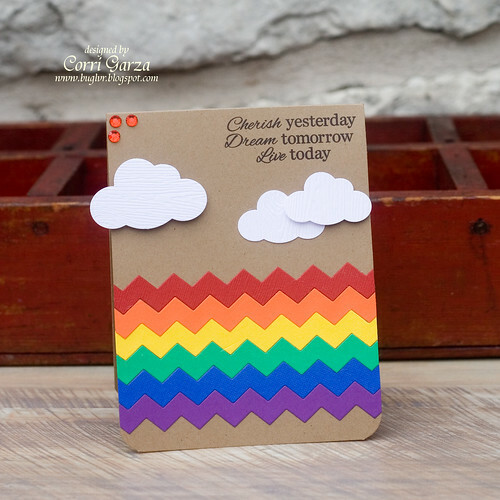 I do love a good rainbow and often use rainbow colours in my cards! Beautiful samples of cards with the wonderful rainbow colors! Congrats to the talented who are featured here! Thanks for sharing! Simply beautiful!! Love seeing so much color! What a wonderfully colorful post to read on a snowy day here in New England! I really like reading the Trendy Tuesday Posts and you always amaze me (with all your research and photos.). Bravo! I have always loved the bright colors. These ideas are great. I love the Two Peas card and will give it a try.